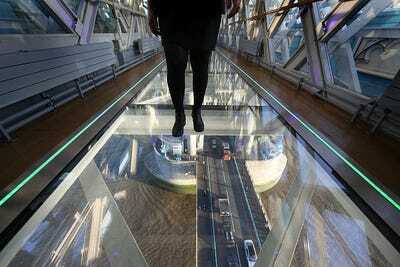 GettyThe new walkway is suspended 138 feet above River Thames. The Tower Bridge in London, a 120-year-old bridge over the River Thames, just unveiled the first of two glass floors along its high-level walkways. 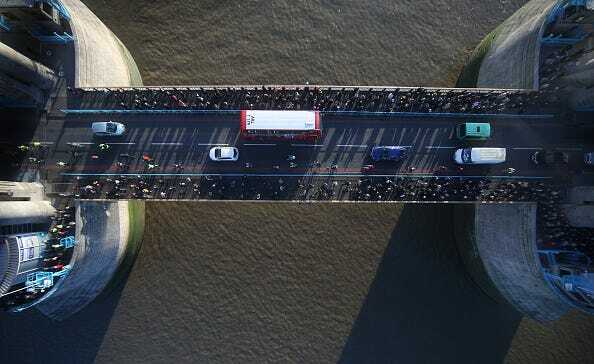 The new walkway provides the rare chance to lookstraightdown onto the river and the estimated 40,000 people who cross the bridge every day, according to The Guardian. These new floors, which are 138 feet above the river, are meant to look like “a big gaping hole in the floor,” Chris Earlie, head of the Tower Bridge Exhibition, told The Guardian. 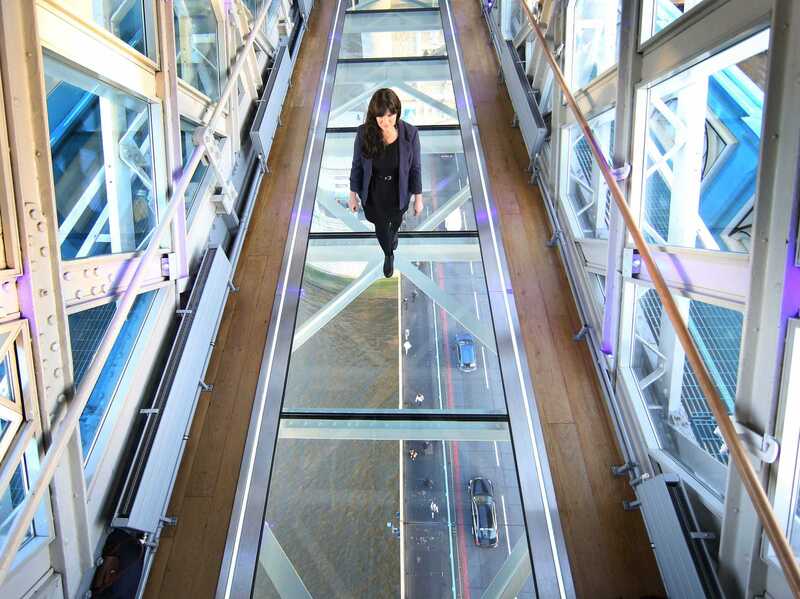 Peter Macdiarmid/ Getty ImagesEach walkway has six glass panels each weighing over one thousand pounds. The walkway, referred to as the ‘wow project,’ has been in the works for two years and took a team of 20 to construct. The floors are 36 feet long and six feet wide, and are thick enough that the glass won’t crack under the weight of its many visitors. Peter Macdiarmid/ Getty ImagesDon’t look down if you are afraid of heights. Visitors have a clear bird’s-eye view of the traffic below. “It is more exciting I think because you are not actually that high, you can see everything in detail beneath you. I do a lot of climbing and adventure sports but, even for me, the first time was a bit difficult,” Earlie told The Guardian. Peter Macdiarmid/ Getty ImagesThere are clear views of the Thames River below. Plus, the new walkway has an especially amazing view when the bridge is lifted. Peter Macdiarmid/ Getty ImagesThe bridge is lifted 850 times a year. This is only the first instalment ; a second glass bottom floor will open on the East Walkway of the Bridge on December 1st. 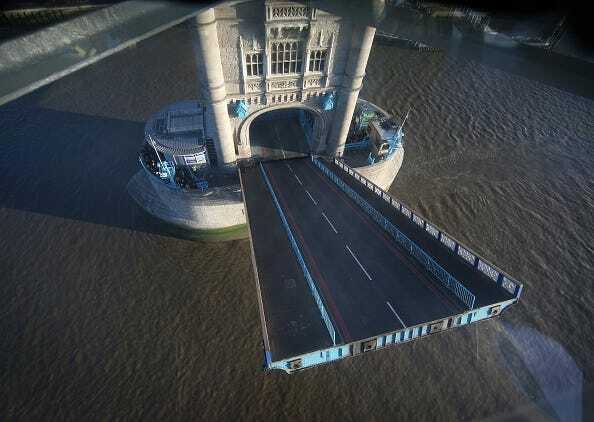 For more information about the exhibition check out the Tower Bridge website here.